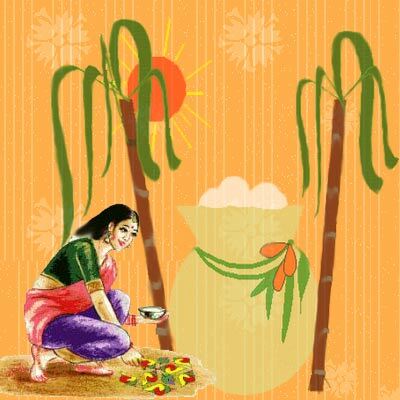 Makara Sankranthi is one of the important festivals celebrated all over India in different ways. While it is called Sankranthi or Pongal in South India it is called as Lohri in North India, Magha Bisu in Assam. Though there are a few difference in the way people celebrate in each area, the most common theme of the festival is Thanksgiving to nature and gods who blessed people with a good harvest, mainly Surya(Sun god), Agni(Fire god). This is one of the many festivals associated with seasons, and is associated with winter harvest. It is celebrated for three days. The first day is called Bhogi which is the day for the family. The second day is Sannkrathi which is dedicated to worshipping Surya, the Sun god. The third day is Kanuma which is dedicated to cleaning cows, farm animals and farm equipment and also offering prayers to them for helping with a successful harvest season. This festival is widely called as Pongal because it is at this time that a special rice pudding (sweet and spicy) is made with new rice from the fresh harvest. The advent of Pongal is associated with spring-cleaning and burning of rubbish, symbolizing the destruction of evil. Decorative designs or rangolis are traced on floors and on the day of the Pongal. These three days the streets in South India look amazingly colorful with different designs of rangolis. Often contest is held for the best rangoli in local communities. In Andhra Pradesh people eat curry mixed with many vegetables and Jawar roti with sesame seed mix. Also, people take bath with water sesame seeds. In the evenings little children under five are blessed by pouring a bowl of mixture with fruits, nuts and sesame seeds. One belief is that this ritual will take away the crankiness of children. This is called Bhogi Pallu. On the spiritual side, it is at the time of Pongal that Andal, who is also called Goda( the incarnation of Bhoodevi) marries Lord Ranganatha after 30 days of Thiruppavai Vratham. Sri Vaishnavas celebrate the month of Marghazhi reciting Thiruppavai, an amazing poem of thirty verses in praise of Lord Ranganatha, composed by Andal, one of the 12 Alwars(saints immersed in God). Goda Kalyanam is performed in all Sri Vaishanav temples all over South India during the Pongal time. Bhogi Pongal in North india is known as Lohri. In North India this is the festival of rabi crops(Wheat, Barley, Mustard, Peas, Oats, etc.). 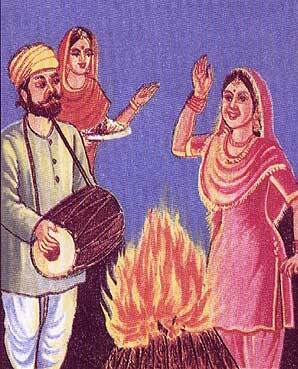 On this day people light a bonfire, offer prayers to fire god, dance around fire singing traditional Punjabi songs and songs related to the season with all the joy, and then have a feast with fresh harvest. People dress up in colorful clothes, invite family and friends over and spend the day in sharing food and gifts with each other. This is the time people give charity to those who are less fortunate to demonstrate how sharing and caring is most important quality of human beings. Eating sesame and jaggery is believed to take away the bad elements from the minds and hearts of people. Many stories are associated with the festival of Lori, like the name originates from the name of Sant Kabirâ€™s wife, Loi. According to another legend Holika and Lohir were sisters. Another legend says that the festival came into practice after a highway robber Dulla Bhatti carried a good deed by stopping a girl being taken into prostitution and marrying her with a Hindu bod. Irrespective of different traditions this is a Pongal/Lohri is a great occasion to be thankful to gods, friends, families, nature, farm animals and all those who help to make life happy in many ways. And it is these age old traditions and practices that make India a land of mysteries and wonders.Â Hence maintaining these traditions and passing them onto our next generations is highly important and perhaps the duty of every Hindu, so that the richness of our culture continue to live for many generations to come. Lord Ayyappa pooja is also very popular on this day. Everyyears millions of people gather to witness Makarjyothi. Makaravilaku -- Makara Jyothi is an important festival at the famous Sabarimala Sri Ayyappa Temple in Kerala. 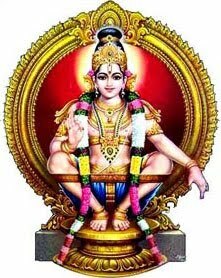 Legend has it that after defeating demon Mahishi, Lord Ayyappa merged with the Dharma Shastha idol on the Makarajyothi day. It is also the most important and the last festival in the two-month Mandala Pooja - Makaravilakku Kalam at the temple. Sabarimala Makaravilakku and Makarajyothi is witnessed by thousands of Ayyappa devotees. The evening deeparadhana is the most important event on the day. On the day for deeparadhana, Lord Ayyappa appears before the devotees fully attired in the Thrivaabharanam - gold ornaments - which is specially brought from the Pandalam Palace. Before the evening deeparadhana, an eagle (Garudan) hovers over the Sabarimala Temple. Next the Makara Star (Utthiram Nakshatram) appears on the sky - Makarajyothi is the star that appears on the sky on the day in the evening. Next is the appearance of Makaravilakku - it is the light that appears three times in the distant hill (Kantha malai) at Ponnambala Medu. We grew up flying kites and having different festivities on Makar samkranti. We kept hearing that Makarsamkranti is Uttarayana. But that.s completely wrong. When we ask what is Uttarayana? We get answer that sun travels north. Dakshinayana is the Sun travelling south. The fact is we have been taught in school that the Earth and other planets circles around the Sun in orbit. So the Sun isn.t moving any north and South. Then why they say the Sun is moving North or South? Are they wrong? Our great rishi knew that the Earth and the planets are circling around the Sun. What they meant is an astronomical phenomenon that is the apparent motion of the Sun moving north and south in direction . sun moving up and down in latitudes. Longitudes are East and West, Latitudes are North and South. If every day you note down the position of the Sun in sky at the end of the year you can trace the apparent annular path of the Sun in heavens called as ecliptic measured as longitudes. The sky is in 3D hence object appear to move up and down as well in terms of latitudes. :e all know the facts. The earth is titled and circles around the Sun with this tilt. When the tilt is facing the sun we get summer in places above equator and winter in the places below equator. When the tilt is away from the sun we get winter in places above equator and summer in the places below equator. This tilt gives rises to seasons. The uttarayana is the point in orbit where the tilt is away from the Sun. It seems like the Sun is below celestial equator. Because the Earth is tilted 23.45. degrees the maximum latitude that we can apparently see in sky that the sun is moving north is 23.45. and minimum latitude that we can apparently see in sky that the sun is moving south is -23.45.. When the sun hits -23.45. in latitude it.s the point in sky we call it winter solstice. Hence Uttarayana is also the point on that day we.ll see shortest day on the earth and extreme cold weather. As earth continues to circle around the Sun we see the latitudes of the sun gradually increasing towards north this continues till we hit the point where the tilt of the earth is very close to sun . longest day on the earth and from that point days will become short . this point is also called as Dakshinayana. Please see following diagram to study the tilt and the earth.s movement around the Sun. There are two types of zodiac -- Fixed and Tropical. Every year while circling around the sun the earth slides a little as earth wobbles while circling around the Sun. When you extend the north pole to celestial north pole it currently points to north star after few thousands years it will point to different star. This creates a problem. Twice a year the tilt is neighter away or faces the sun. This points are called equinoxes. This is also a point where celestial equator and ecliptic intersect. The first point is called vernal equinox and as per the tropical zodiac it is the starting point of zodiac but as earth wobbles this point shifts and giving rise to ayanamsha. The ayanamsha is observed with the reference to some fix distant stars. At some point in the history the tropical zodiac was properly alligned to the a star 180 degrees opposite to spica -- chitra nakshatra -- which is the starting point of sidereal zodiac -- fixed zodiac or the zero degrees of aries. Every year the vernal equinox slides by 50 seconds as the earth wobbles. Uttarayana / Dakshinayana: The season occurs based on tropical sun (without ayanamsha).Â This is due to earthâ€™s tilt of 23.45 degrees. The earth circles around sun with this tilt. When the tilt is facing the Sun we get summer and when the tilt is away from the Sun we get winter. Because of this tilt it seems like the Sun travels north and south of the equator. This apperant motion of the sun moving up and down in latitude is called Uttarayana â€“ Dakshinayana is apperant motion of the sun is moving towards South in latitudes.Â This motion of the sun moving towards the north is called Uttarayana. When it is moving towards the south it is called Dakshinayana. This causes rise to seaons. They are dependent on equinoxes and solstices. Hence Actual Uttarayana occurs on December 21st/22nd of every year. All Drik panchanga makers like Janmabhoomi/Date panchang/Govt. of India's Rastriya panchanga will use December/21st or 22nd for Uttarayana. Winter solstice is begining of Uttarayana and Summer Solstice is begining of dakshinayana. Vernal equinox is begining of the sayana zodiac that is 0 degrees of Aries. From that every year we apply ayanamsha (to arrive at nirayana zodiac) with reference to some fix star after sliding of vernal equinox -- 0 degree of Aries. Begining of 1000, the sun used to enter makara on December 31st. Begining of 1500 the Sun used to enter makara on January 8th, 1800 the Sun used to enter makara on January 11th. Now its around January 14th and 15th. Every year it slides more. The sun's entering into sayana makara is around December 21st/22nd, also from that time sun apperantly seem to move upwards in latitudes. This takes roughly long time to slide a month and hence it became common practise to ignore the actual siddhanta but to stick to nirayana sun for uttarayana. Actual ayana gati is never sidereal its always tropical. Taking it sidereal is wrong to determine seasons and uttarayana/dakshinayana. Indian Vedic Calendar/panchangam is combination of Sayana and Nirayana system. For all other calculations nirayana positions of luminaries are used but for seasons and ayana only sayan surya is used. Hence Actual Uttarayana is December 21st/22nd. Following Sun's latitude will explain you how uttarayana and dakshinayana works: On December 18/2010 Sun's Latitude (@ 0h UT) is -23 degrees 22 minutes and 31 seconds. On December 19/2010 Sun's Latitude (@ 0h UT) is -23 degrees 24 minutes and 09 seconds. On December 20/2010 Sun's Latitude (@ 0h UT) is -23 degrees 25 minutes and 19 seconds. On December 21/2010 Sun's Latitude (@ 0h UT) is -23 degrees 26 minutes and 01 seconds. On December 22/2010 Sun's Latitude (@ 0h UT) is -23 degrees 26 minutes and 15 seconds. On December 23/2010 Sun's Latitude (@ 0h UT) is -23 degrees 26 minutes and 01 seconds. On December 24/2010 Sun's Latitude (@ 0h UT) is -23 degrees 25 minutes and 18 seconds. On January 14/2011 Sun's Latitude (@ 0h UT) is -21 degrees 24 minutes and 13 seconds. Here you'll notice that latitudes are increasing till December 22nd and after that it's starting to decrease. These are in negative and hence it shows the sun is moving to south. When the latitude starting to decrease it means sun is moving up -- uttarayana. on January 14th you'll notice that the sun's latitude has already decreased -- the sun has moved up to -21 degrees. Hence January 14th isn't Uttarayana. Actual Uttarayana is December 22nd. Same way you can study Sun's Latitude for 2014 and you'll notice the same thing about Actual Uttarayana, Dakshinayana dates. Same way if we study dakshinayana. On Jun 20/2011 (@ 0:0 UT) Sun's latitude is 23-25-37, Jun 21/2011 23-26-08, Jun 22/2011 23-26-13, on Jun 23/2011 23-25-54. You'll notice that from Jun 23rd midnight at universal time sun's latitude is decreasing before that it was increasing and hence before reaching midnight of 23/Jun Sun already starting to decend in latitude -- dakshinayana and hence Dakshinayana is Jun/22nd Not in July. 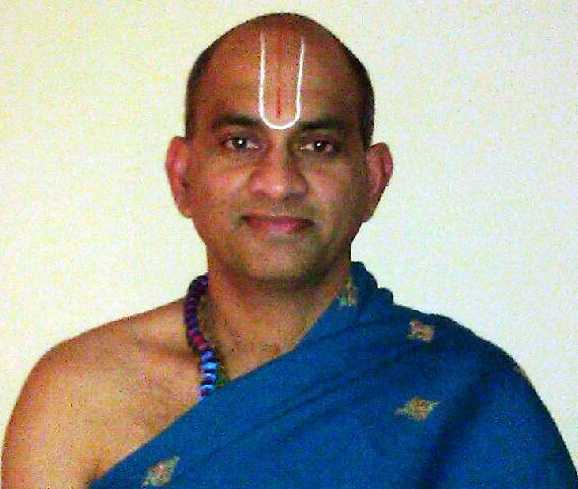 Note: To find Rahukalam, Yamagandam, Durmuhurtham, and Gulikai Please click on the panchangam link, and then scroll down to your city and click on your city. If you are from South India, Gujarat or Maharastra please click on Amavayant panchangam, and if your are from North India please click on poornimant panchangam. You will find Rahukalam, Yamagandam, Durmuhurtham, and Gulikai, Varjyam timings along with Abhijit Muhurtha and Amrit kala timings. We also provide information like local sunrise, sunset, Tithi, nakshatra, yoga, karana, sun's rasi, moon's rashi, moodyami of guru and shukra. We also have everyday chogadia and lagna table. To learn how to read panchanga please visit this link.